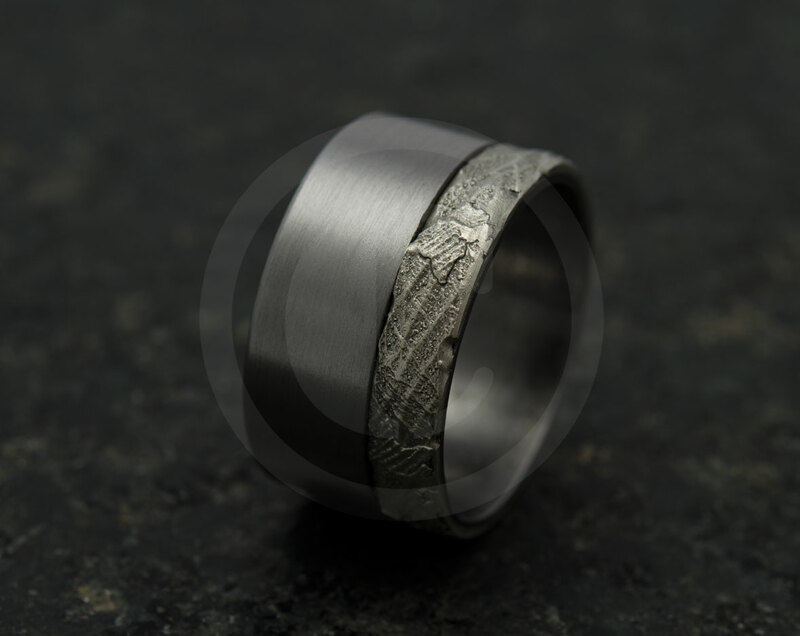 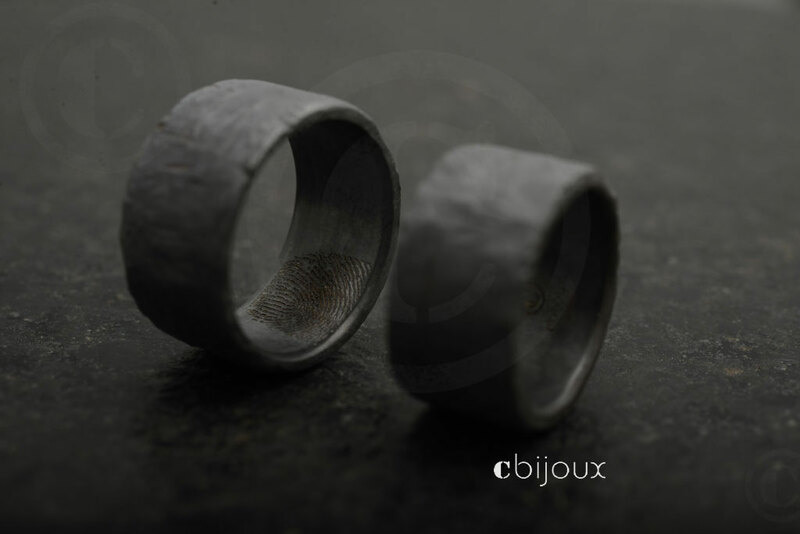 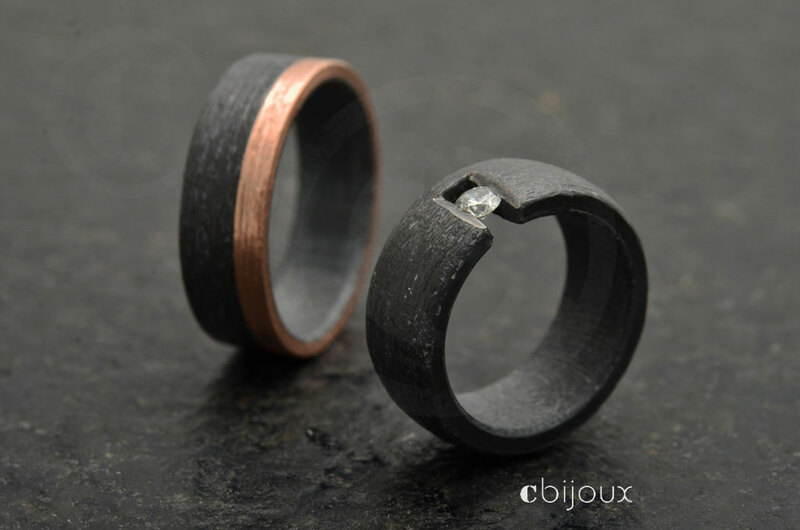 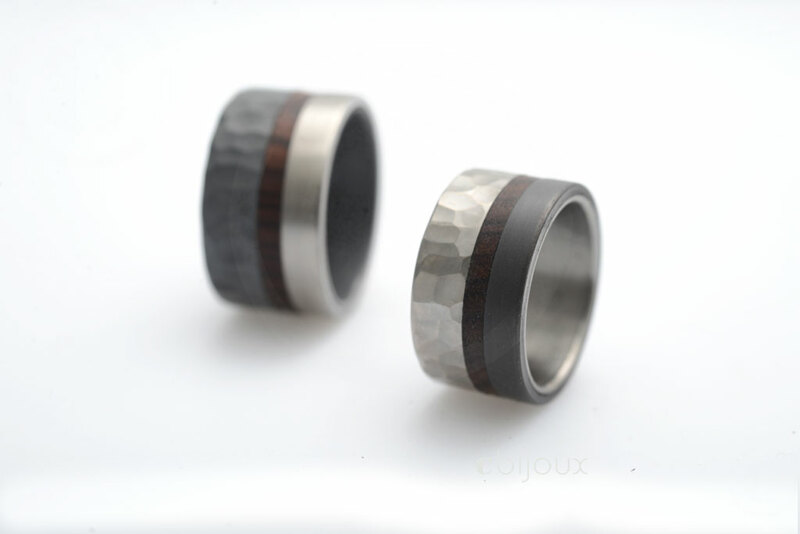 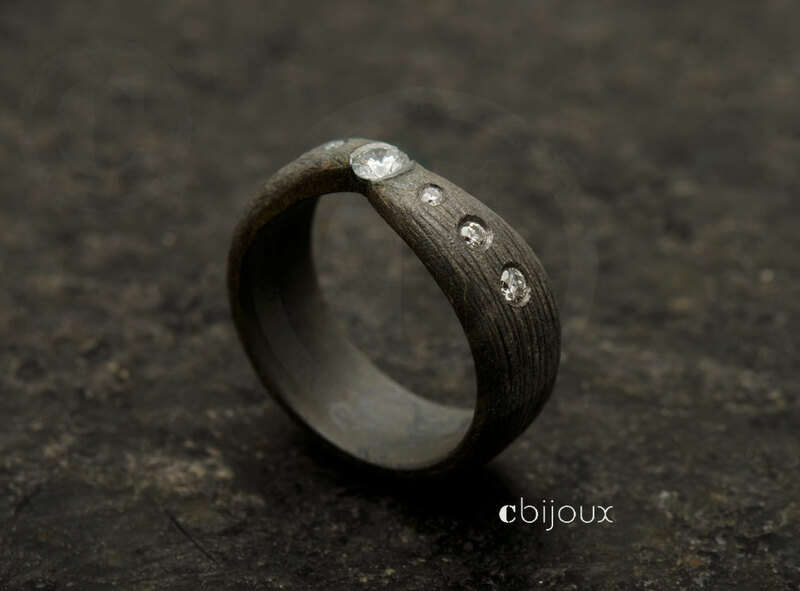 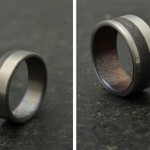 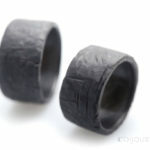 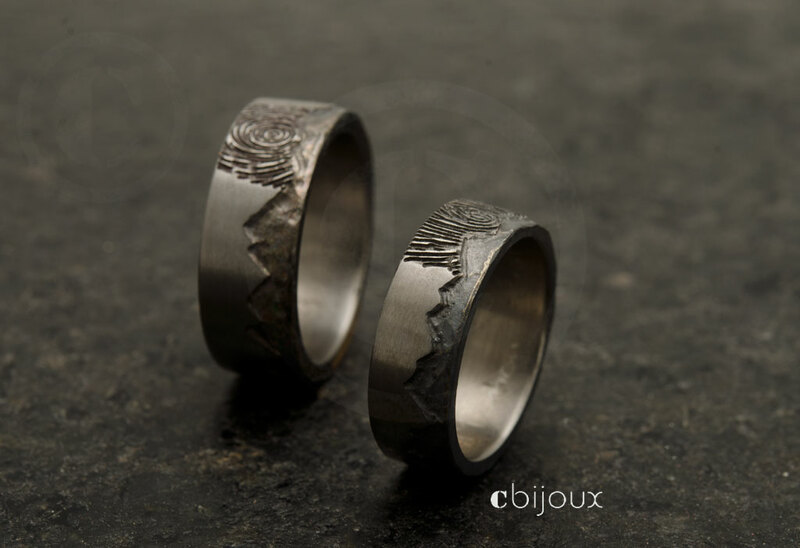 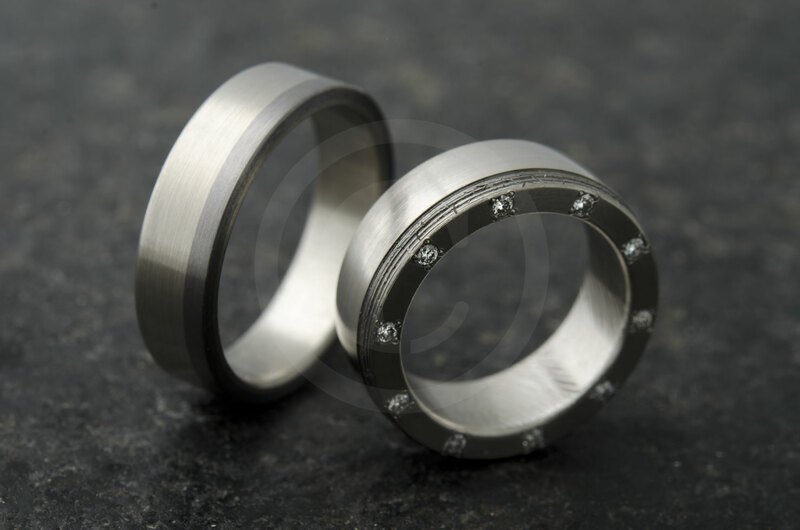 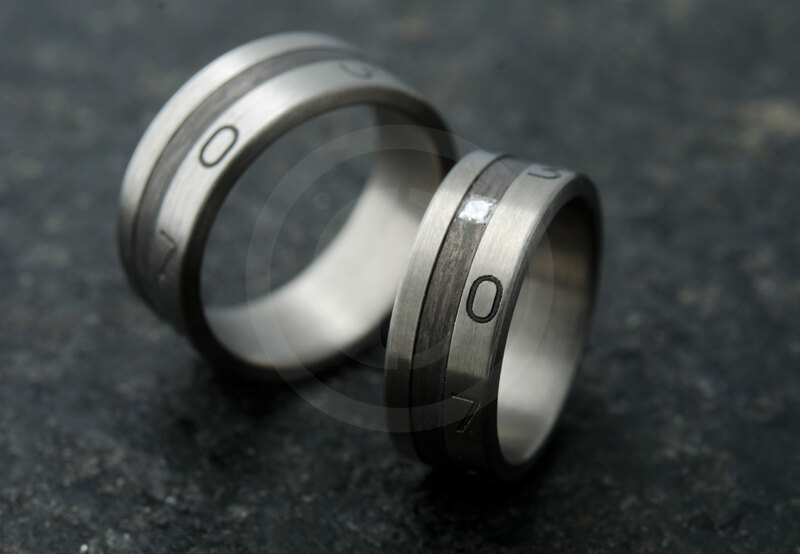 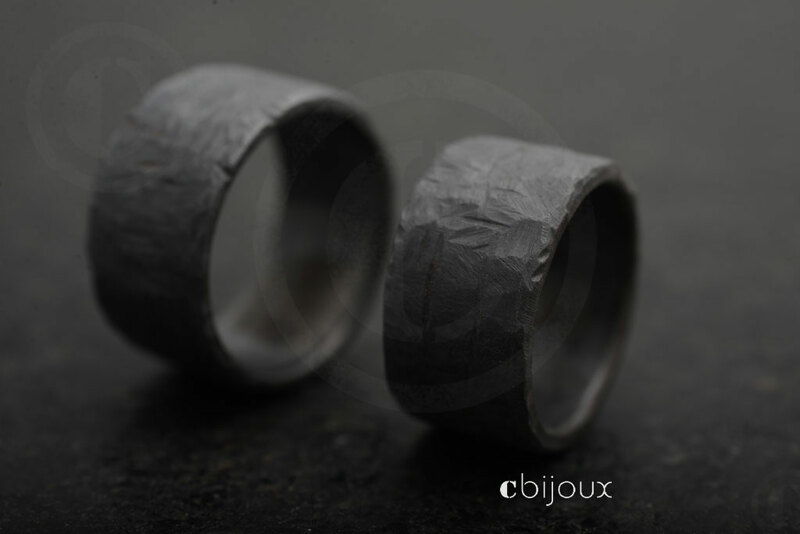 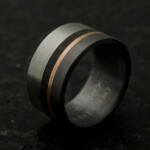 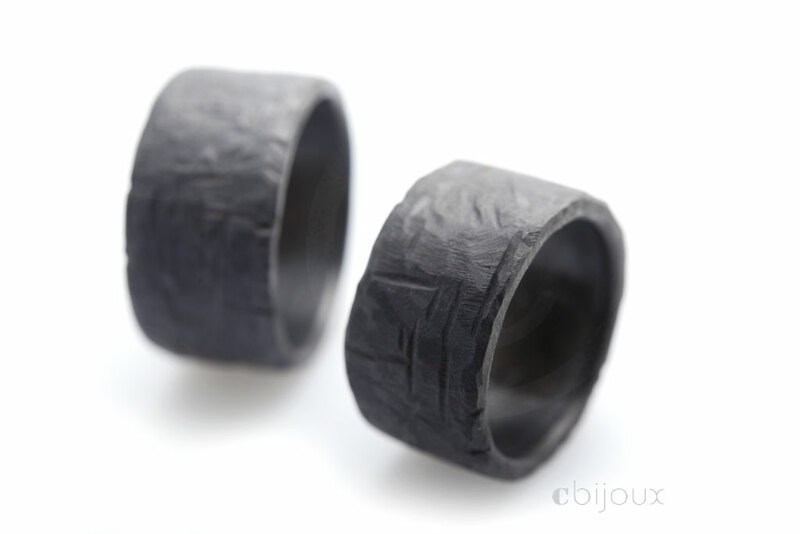 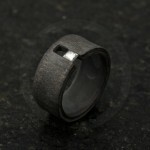 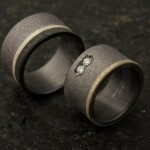 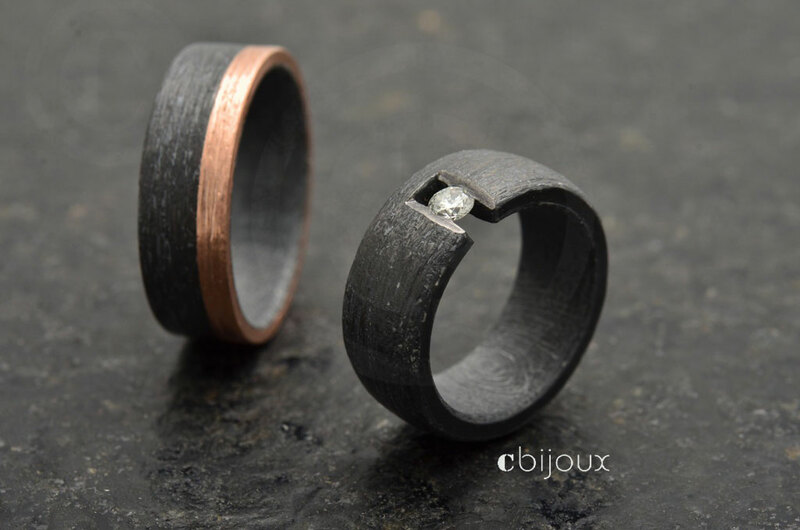 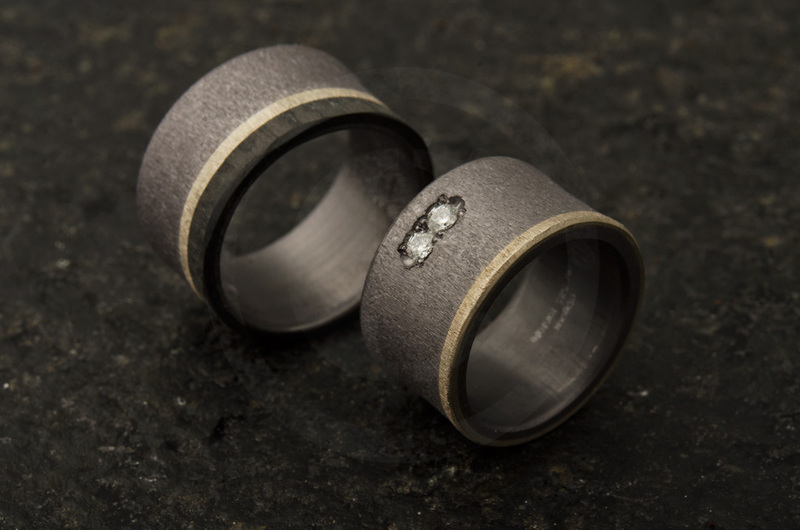 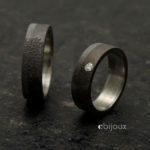 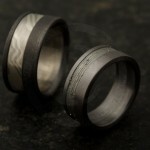 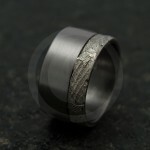 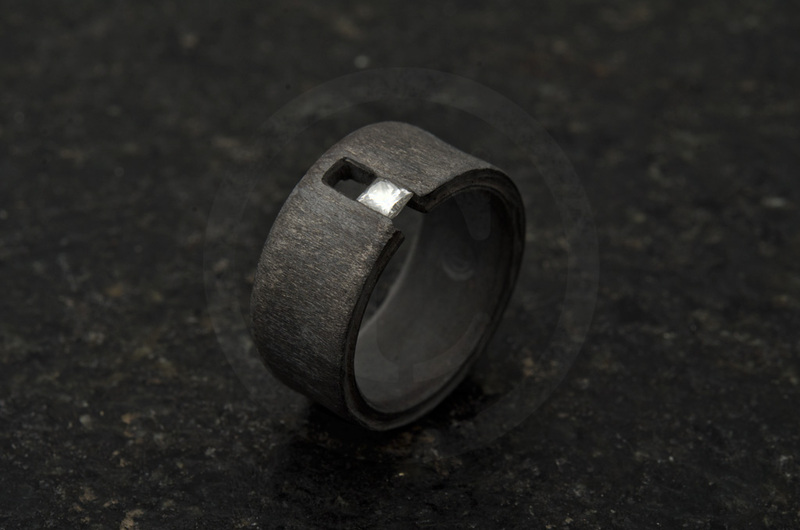 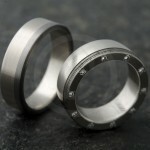 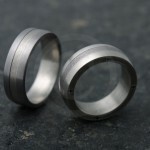 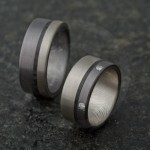 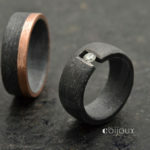 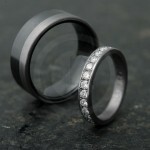 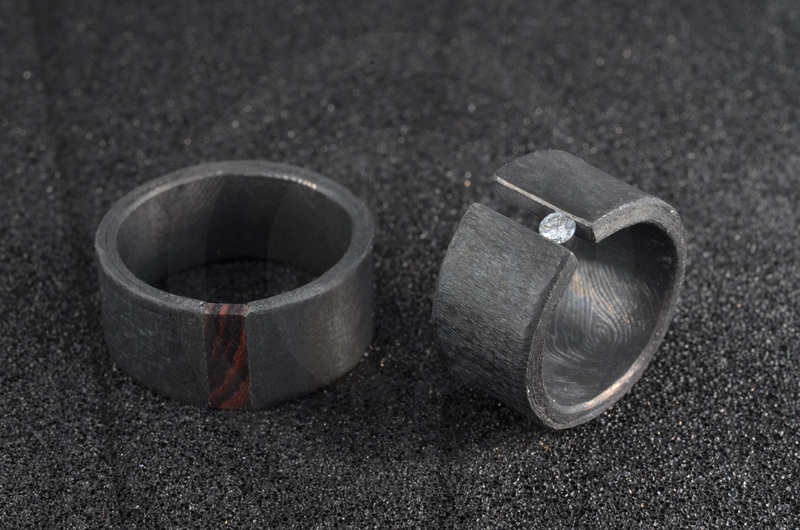 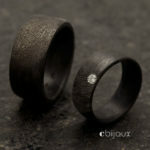 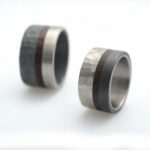 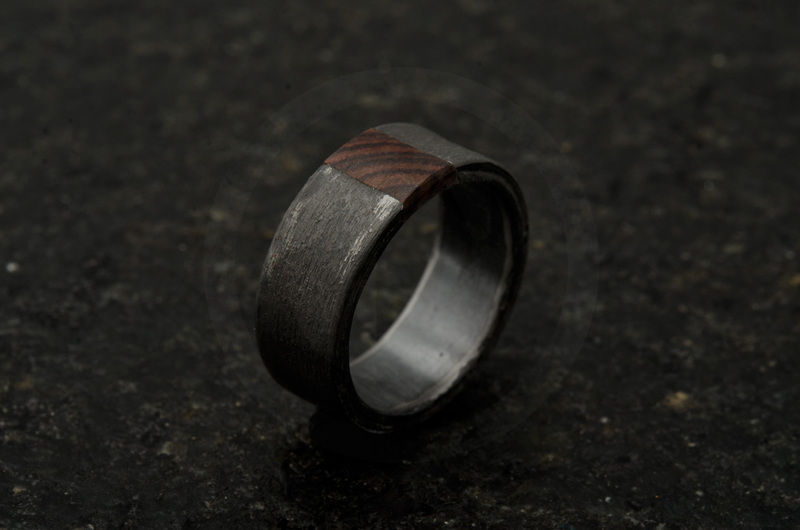 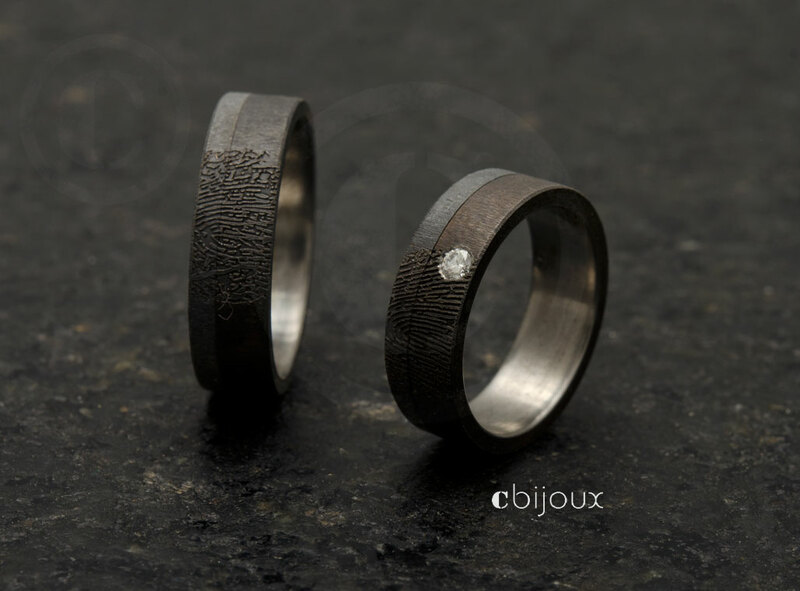 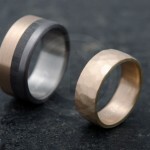 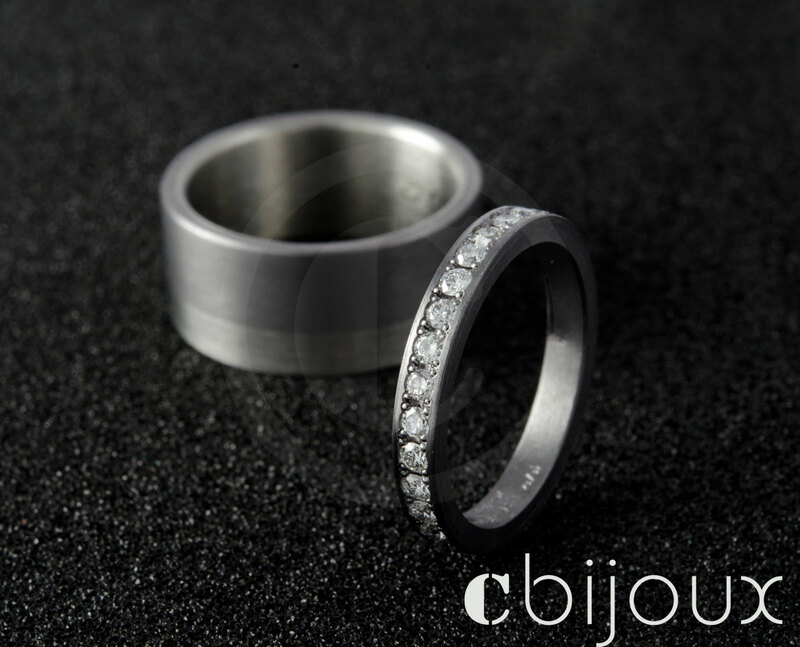 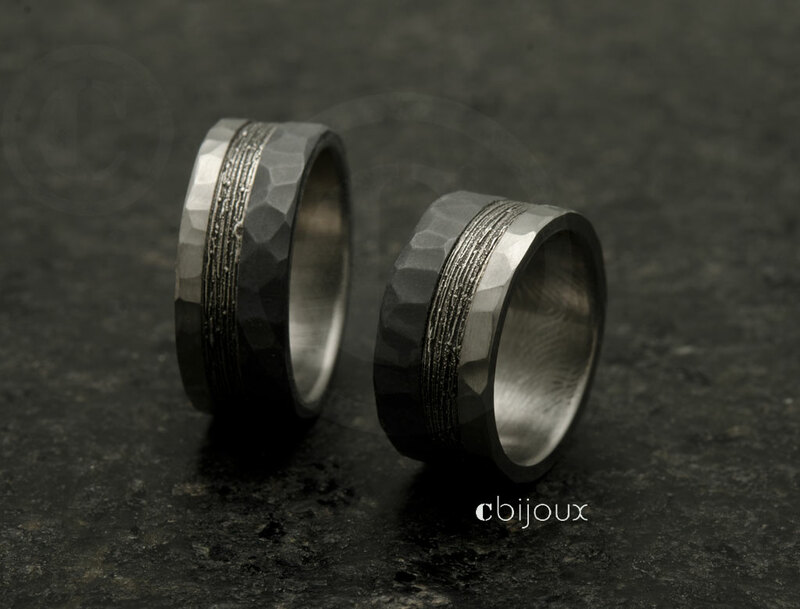 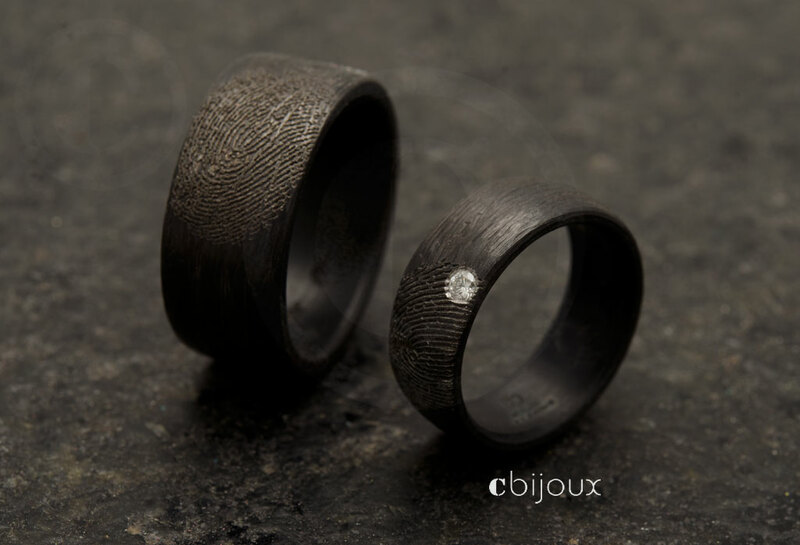 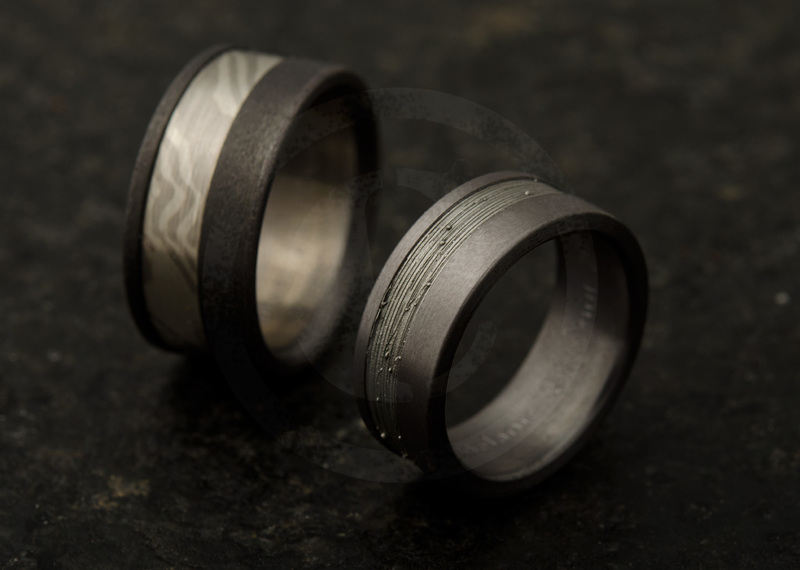 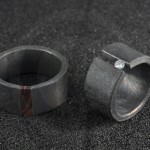 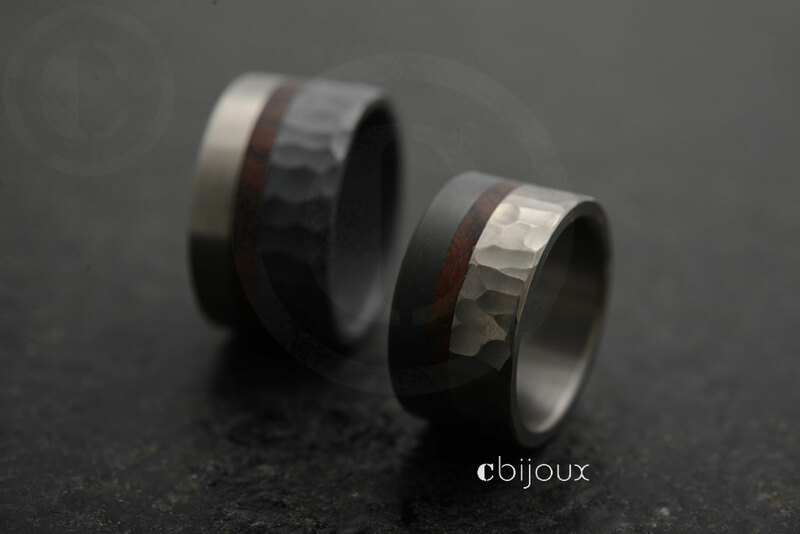 Tantalum offers the possibility to create black or dark grey jewelry and wedding rings without plating. 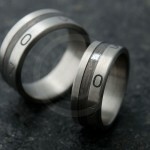 A little physics: it is an element, a pure substance, its symbol is Ta. 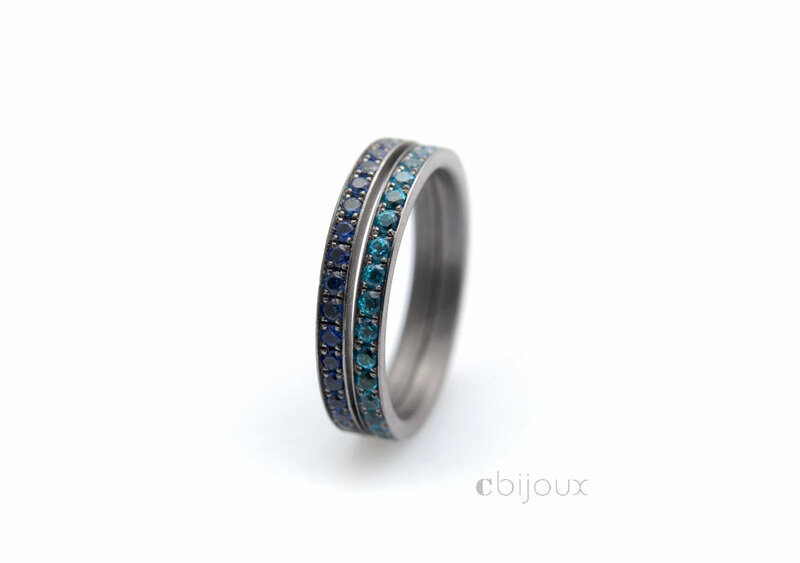 It is found in the mineral Tantalite and in other forms combined with oxygen. 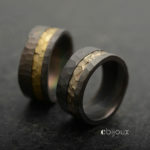 Its density is very high, almost as much as gold. 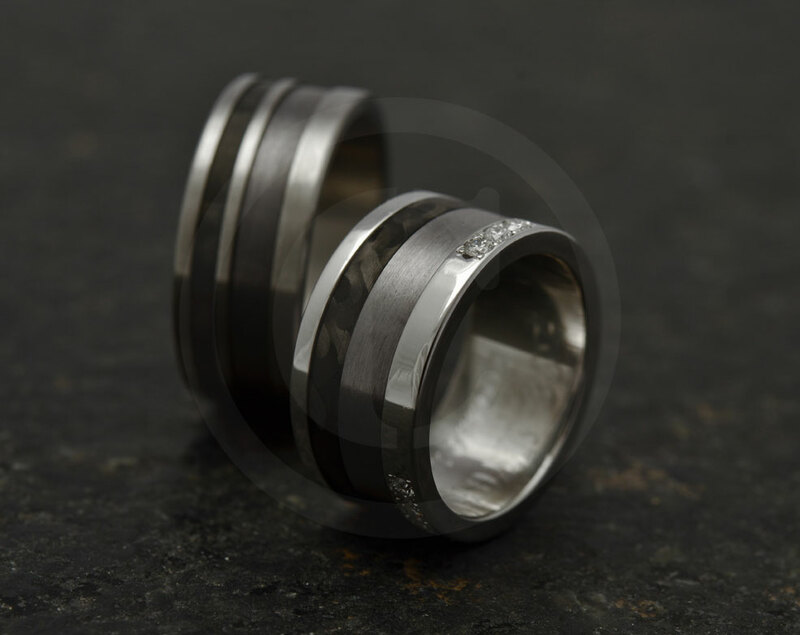 Its melting point is exceeded only by 3 elements (carbon, rhenium and tungsten) and it exceeds 3000°C! 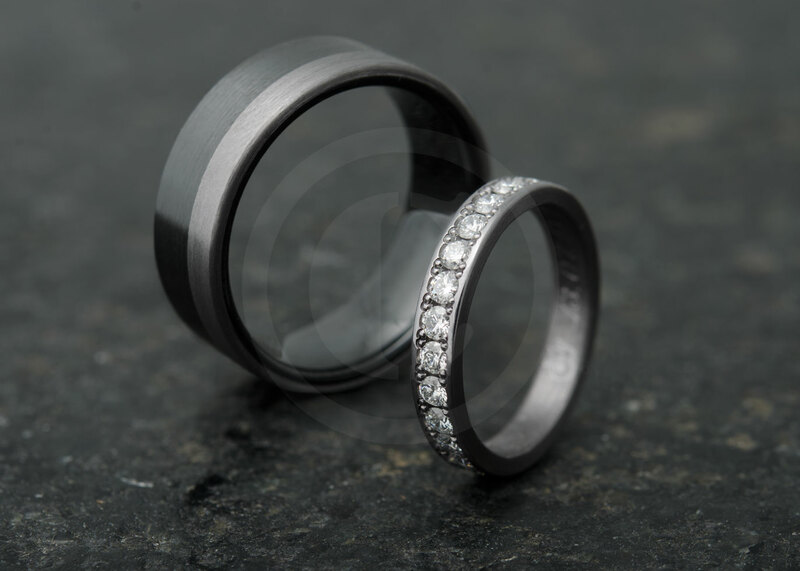 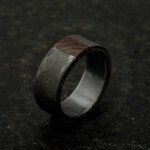 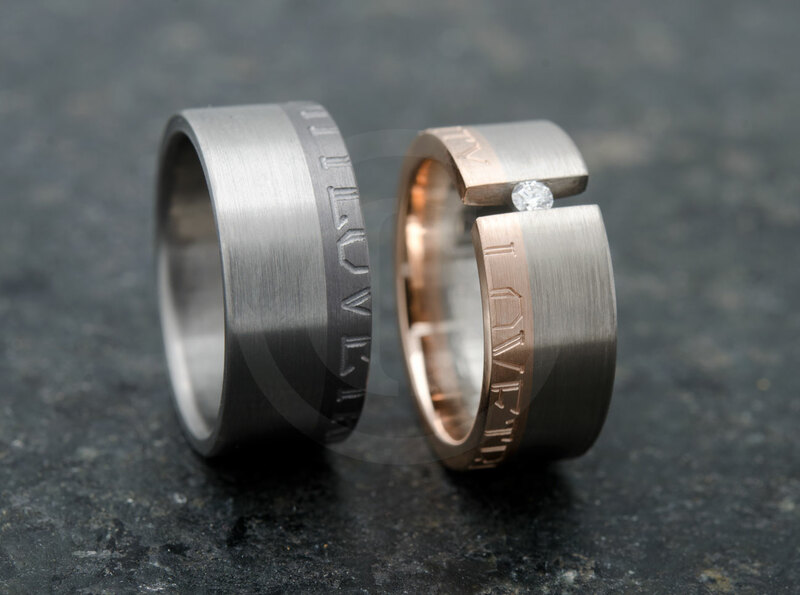 Do not confuse dark metal plating, which has a dark appearance (15 micron ruthenium thickness), with tantalum. 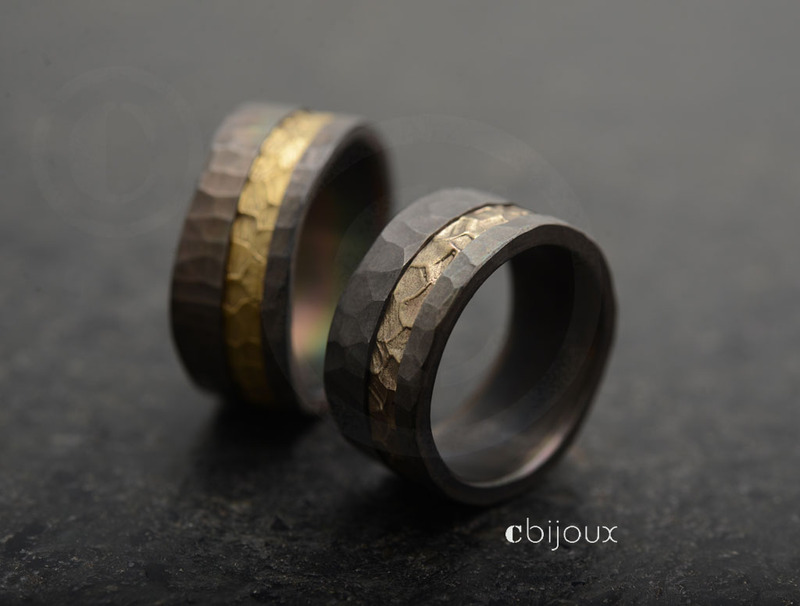 I have even sometimes seen some of these pieces described as “black gold”, oh dear !… (I will explain the technique of plating in another article) . 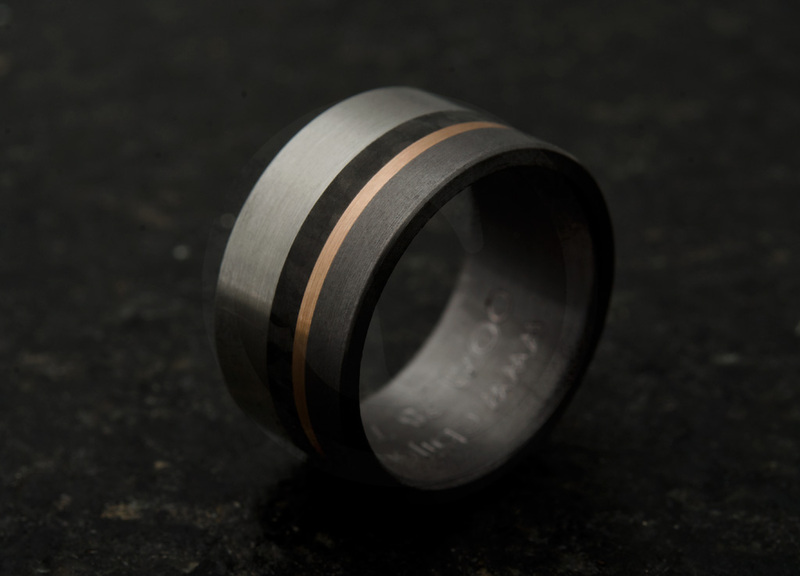 This is an example of plating with ruthenium (layer of thickness: 0.1 to 0.15mm), also sometimes called “black gold”, almost the same colour as tantalum. 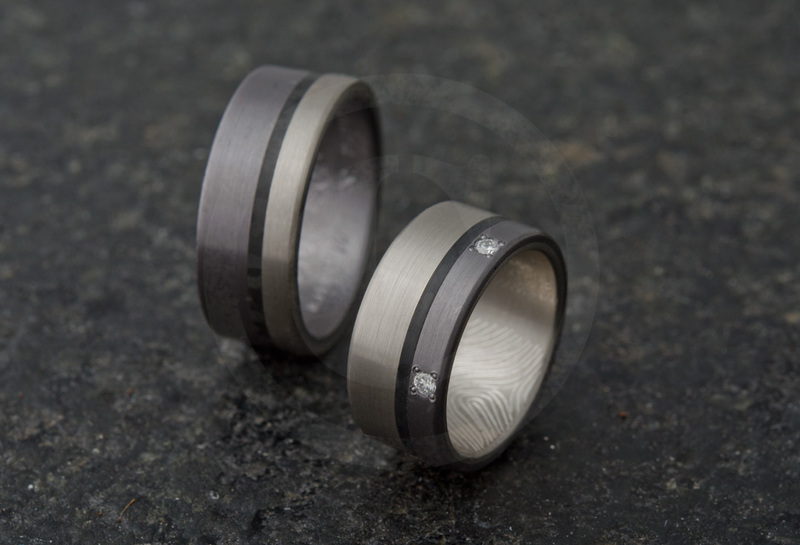 The advantages offered by tantalum in the creation of jewels are multiple, but this metal requires very particular skills. 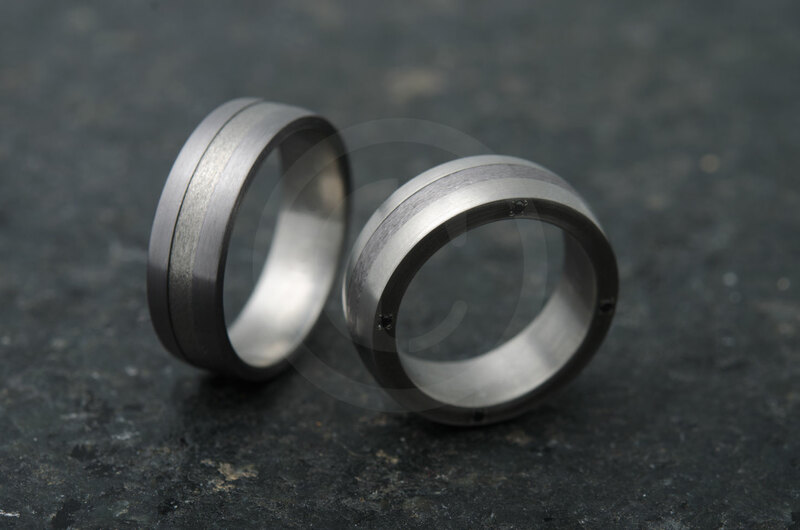 It is ductile but very hard at the same time. 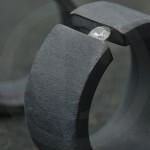 When able to play with its different properties, it is possible to create pieces combining aesthetics and durability. 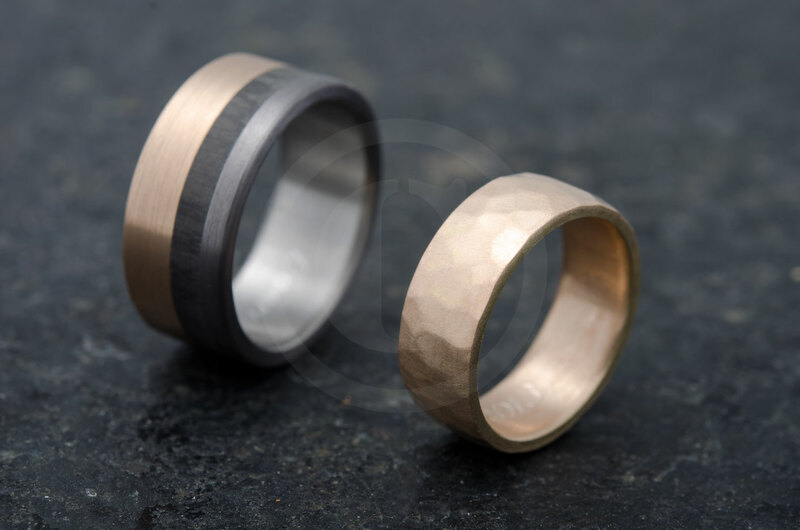 This metal is also biocompatible, which means, in simpler terms – there can be no allergy. 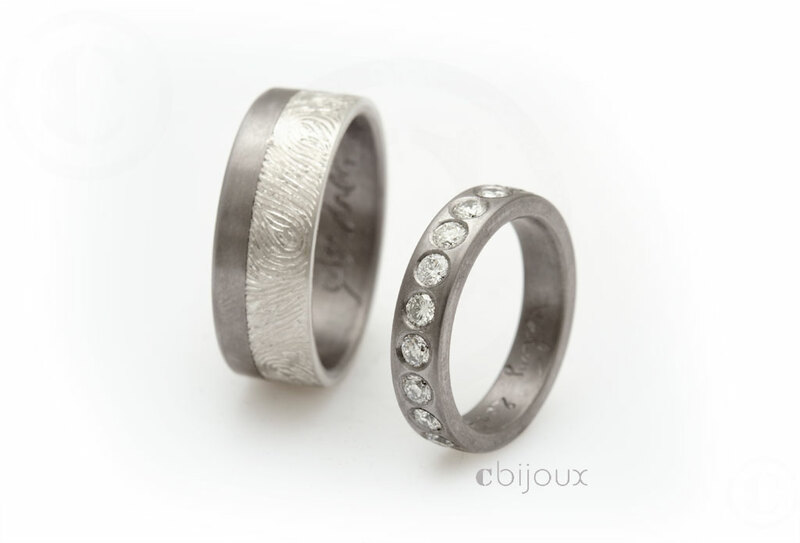 Are you passionate about jewellery creation? 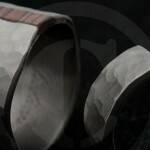 Would you like to be informed and not miss my news when I publish them? 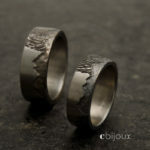 You are more moderate and would like us to stay in touch because you like my creations? 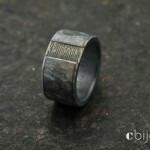 Then subscribe to my newsletter and let’s stay ” in touch”. 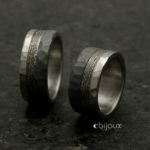 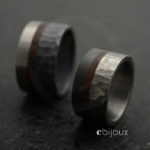 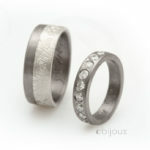 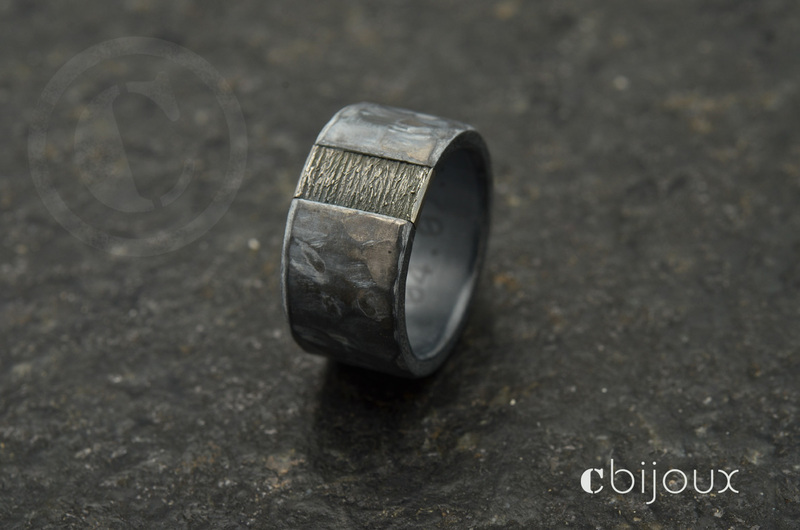 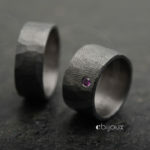 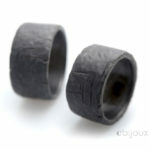 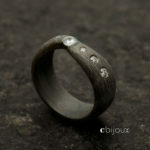 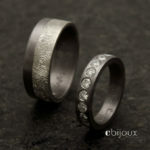 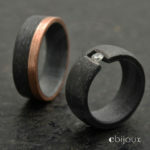 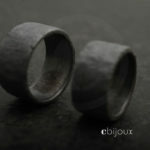 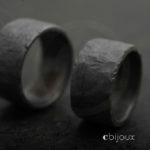 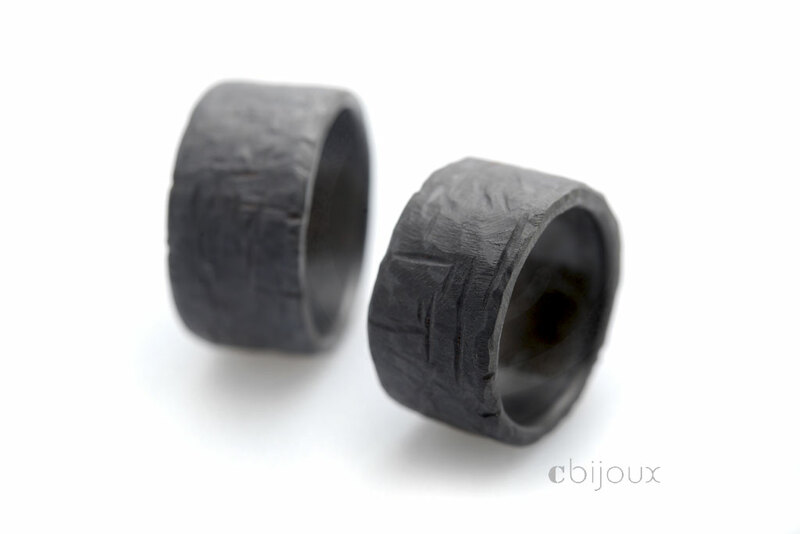 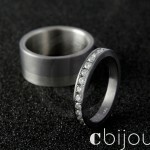 Visit cbijoux.com to see a wider range of jewelry designs, but also the FB page here . 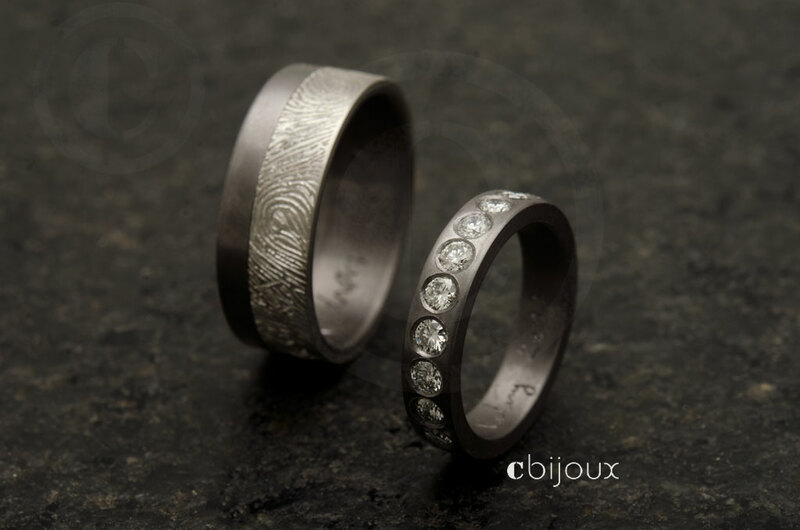 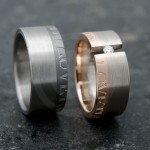 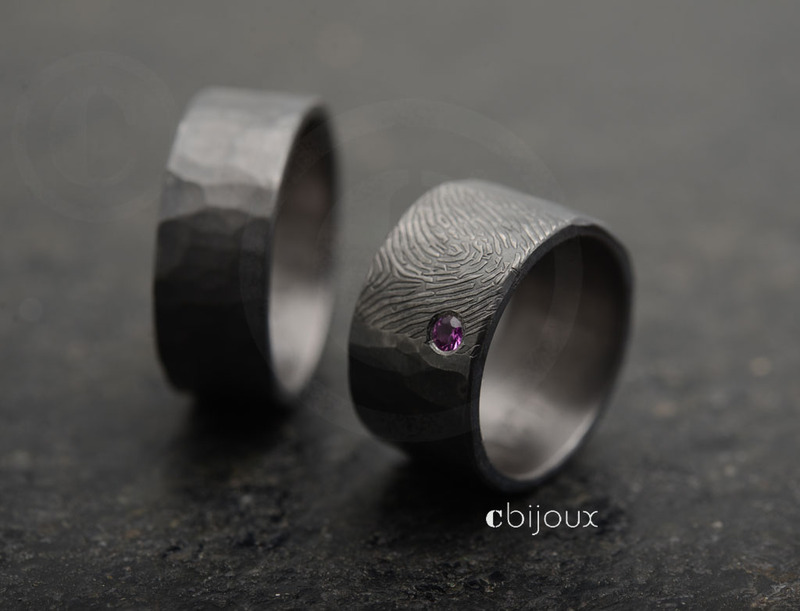 Creation of personalized wedding rings by Cbijoux© instructions for use, click here. 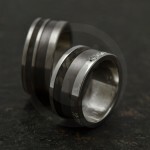 To know more about tantalum, in a scientific way here is the link to the Wikipedia article.